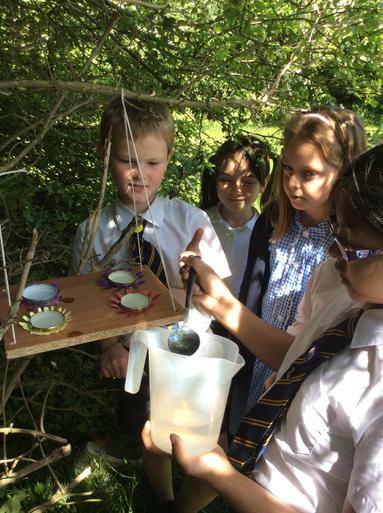 Our Wildlife Club have been doing their best to turn St Mark's into a wildlife haven for all to enjoy. Recently, they made some butterfly-feeding tables. 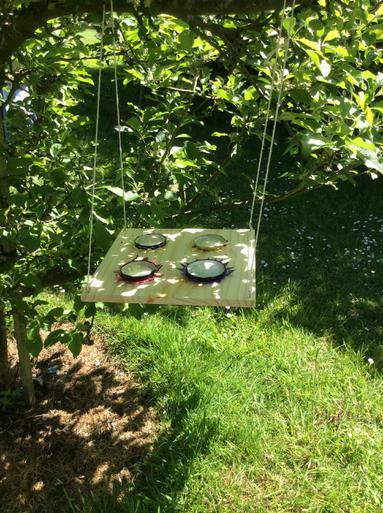 Anya (class 4) explained: " We made the table with a piece of wood and super-glued some jam-jar lids onto it. We made some purple, yellow and pink petals out of a piece of card and put them around the lids because butterflies like attractive flowers." Ana (class 4) added: "We had to fold the petals up so they looked 3D in shape. 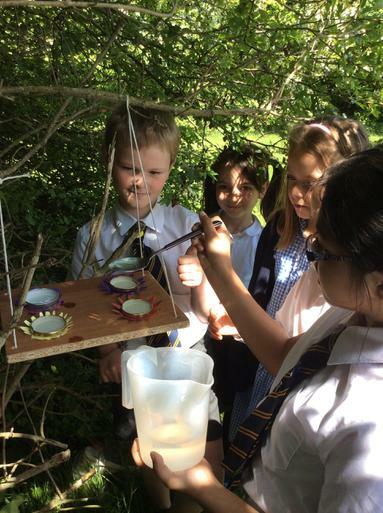 We attached string to the tables and then hooked them onto some of the trees on the playing field." Anya: "We poured sugar solution into the lids because butterflies like it. We made three tables in total. 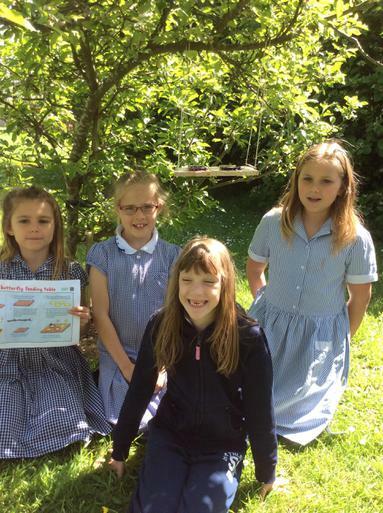 We want to attract butterflies and other wildlife to the school." Ana: "If we attract more animals, there's more food for other animals - we can then enjoy the wildlife."